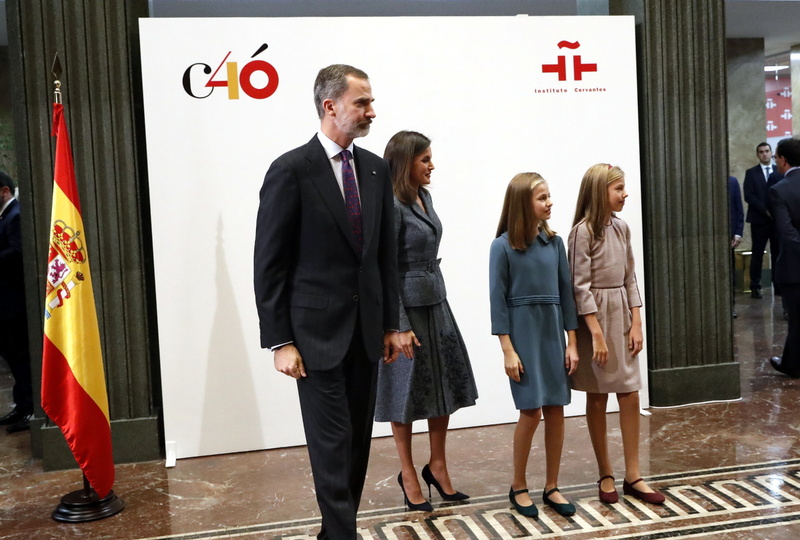 Today King Felipe and Queen Letizia along with Princess of Asturias Leonore and Infanta Sofia visited the headquarters of the Cervantes Institute in Madrid on the occasion of the 40th anniversary of its approval by the Congress of Deputies. 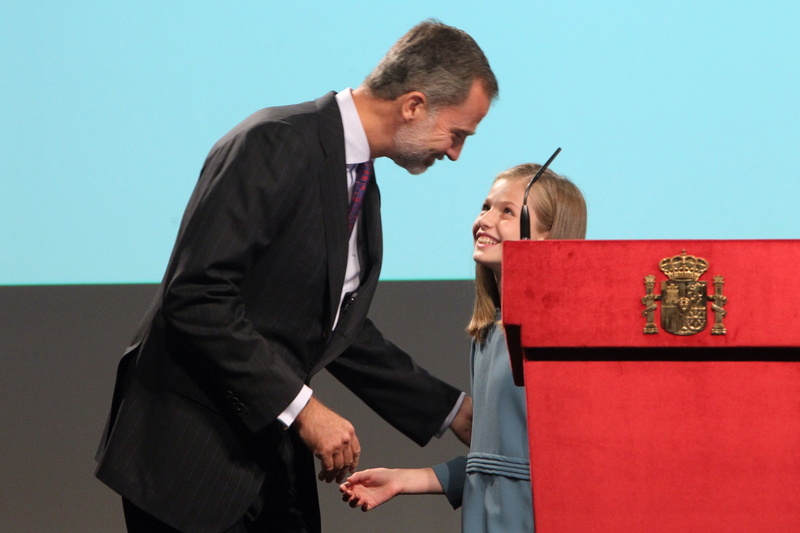 The day was a very special day for Spanish King and Queen as their eldest daughter and heir apparent Leonore turned 13 today. 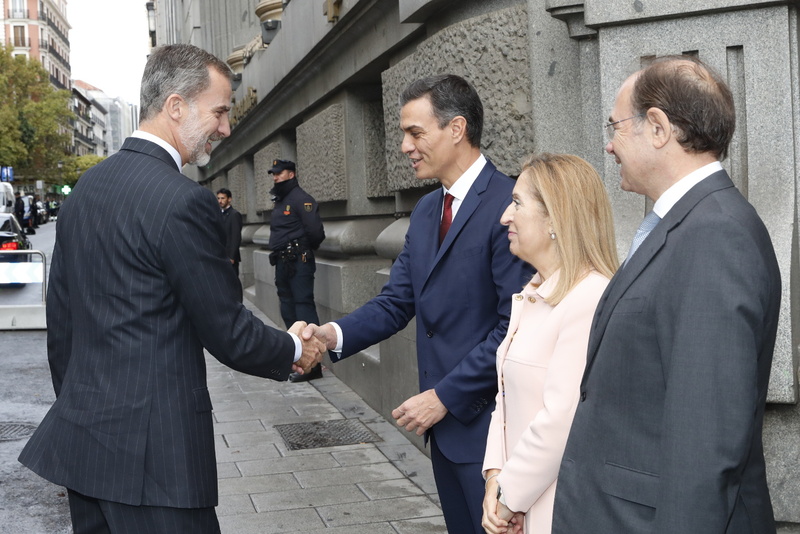 Upon arrival, the royal family was welcomed by the Spanish Prime Minister, Pedro Sánchez. 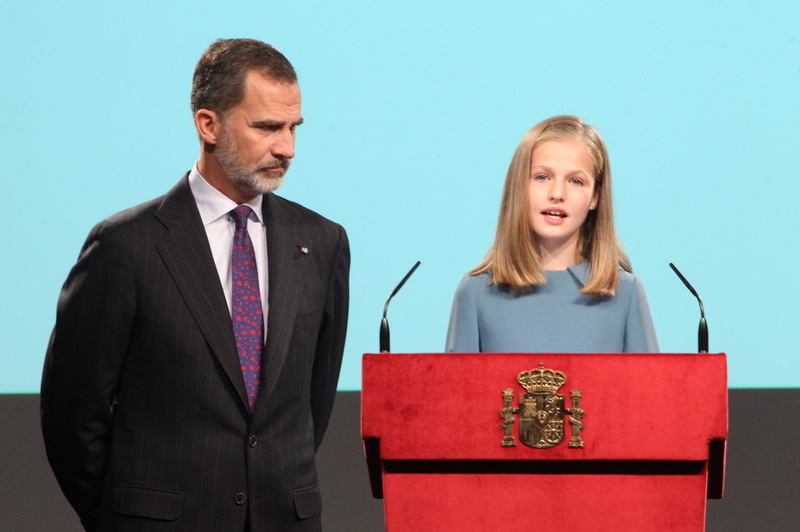 The day also marked another historical event of Leonor’s life, as she gave her first official speech. 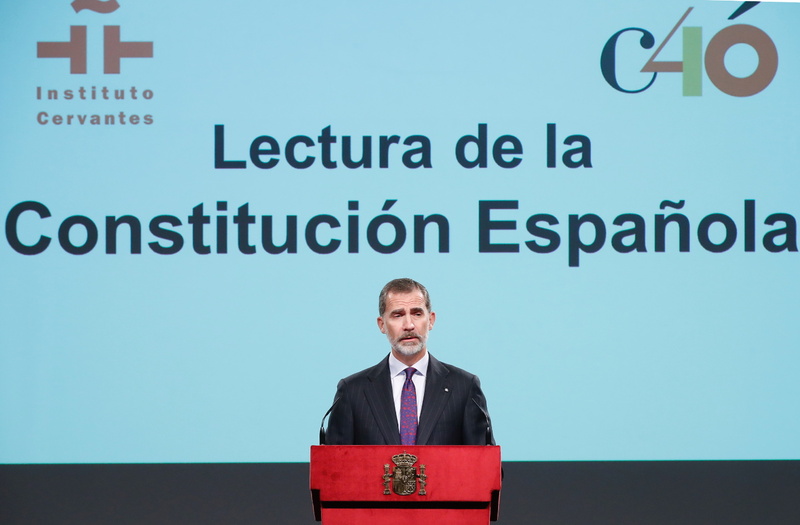 She read article 1 of the Preliminary Title of Spanish Constitution. 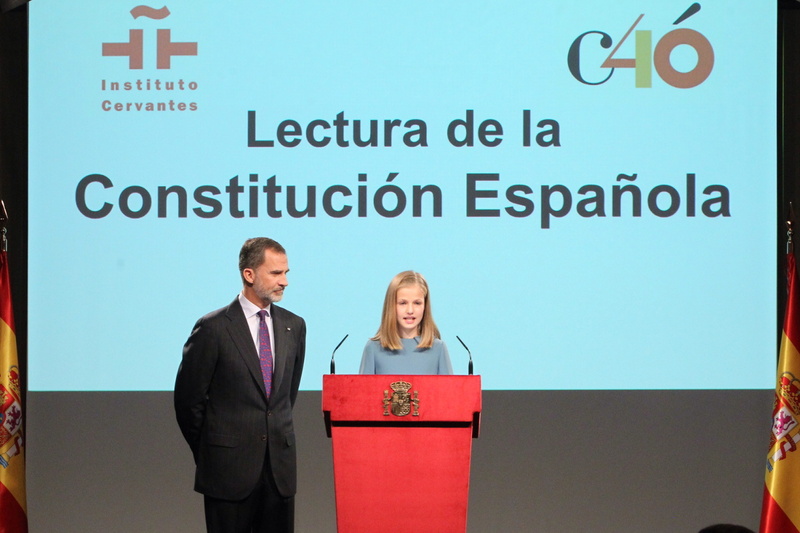 Leonore’s reading was followed by King Felipe’s reading who read the Magna Carta Preamble of the constitution. 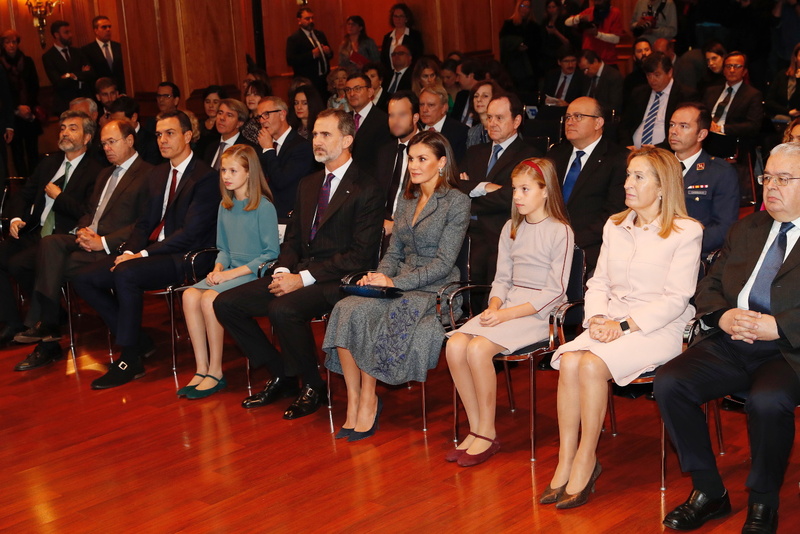 Felipe was a proud father, standing by his daughter while she was taking first big step in her public role today. 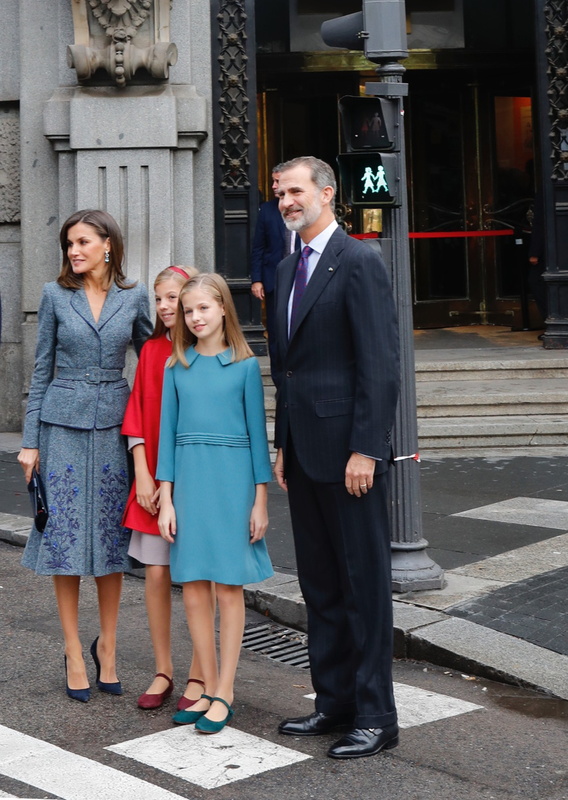 After the speech, Felipe and Letizia both gave a kiss of congratulations to their eldest daughter. 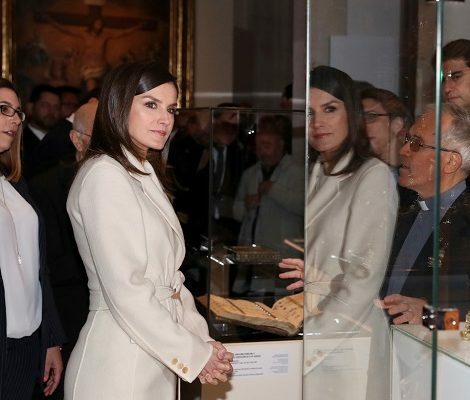 It was a day where Felipe and his heir Leonore were going to shine, so a very proud wife and mother, Queen Letizia took a back seat and kept her wardrobe choices minimum to keep the focus on her husband and daughter. 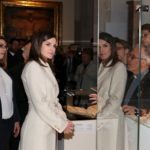 She repeated the wool crepe Jacket-skirt suit from her head designer Felipe Varela that she first wore on the National Day Parade in 2017. 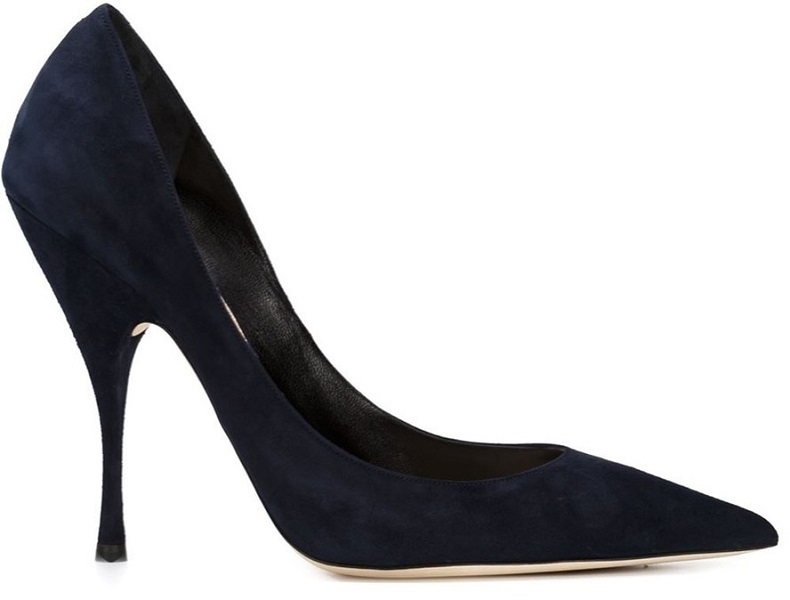 Letizia paired the dress with Nina Ricci suede Pumps. 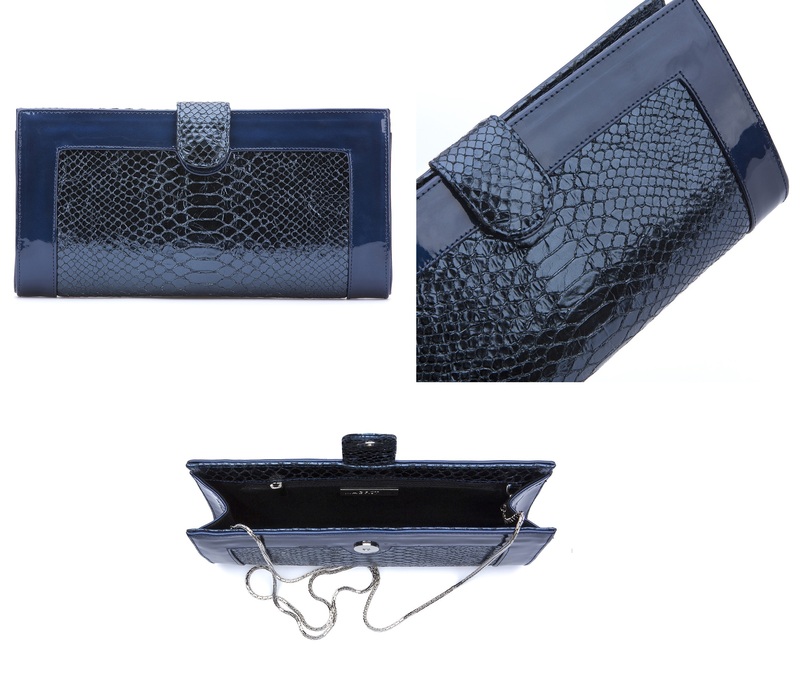 And carried Magrit Hawa Clutch. 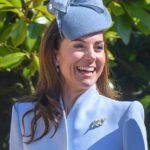 Her Bvlgari Aquamarine diamond earrings finished her look. 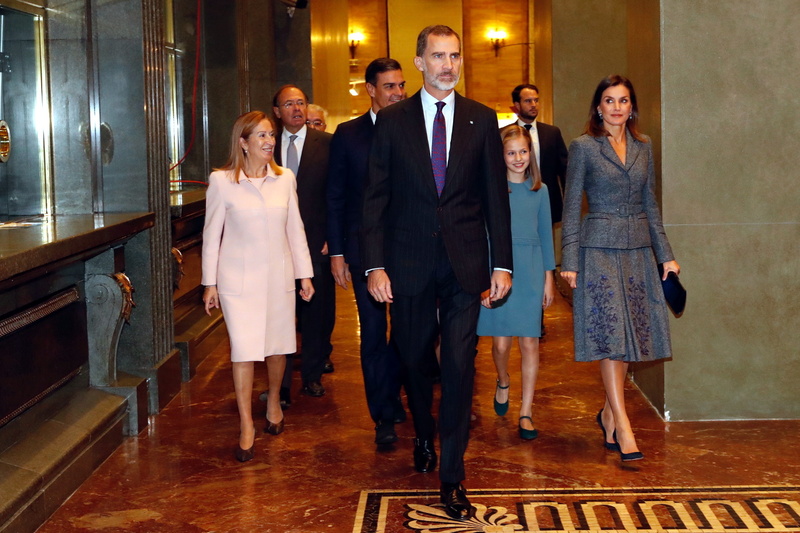 I wish a very happy birthday to Princess of Asturias Lenore. 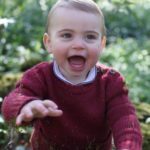 Leonore definitely has the calmness aura that her father radiates along with a charm and elegance of Letizia.